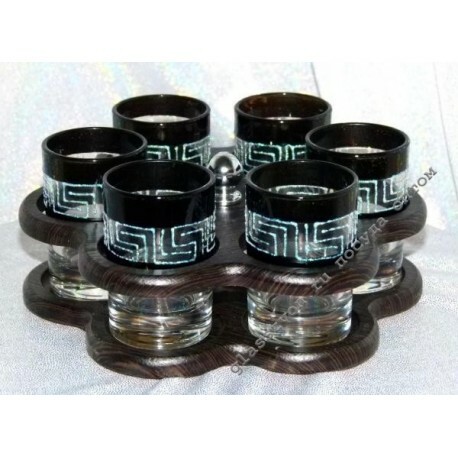 Discreet chic - so you can characterize the stylistics of this bar set. The combination of clear glass, black and silver coloring create an impression of gloss and elegance. A simple and laconic form only emphasizes the presentability of the bar. 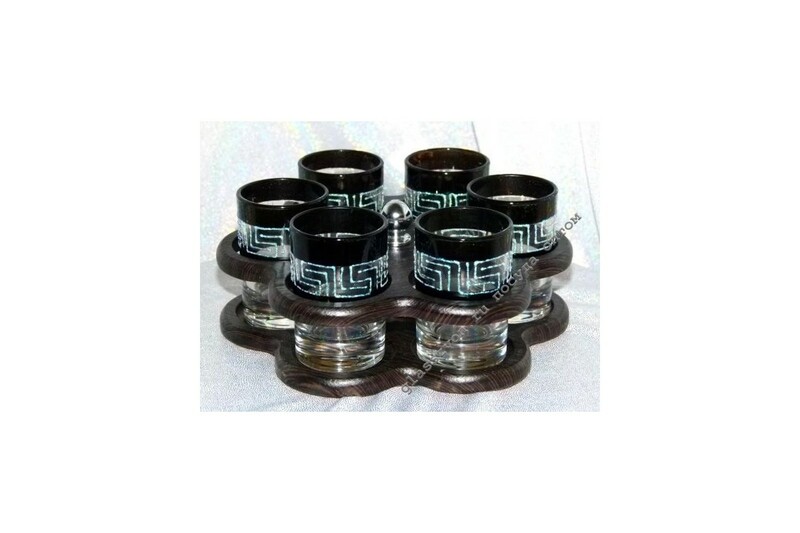 This set is appropriate not only in the house, but in coffee houses and restaurants, where elite drinks are served. The quality of the products is very high, while we offer low prices. We offer a large selection of transparent glassware and glass painting: red poppy, ethnic motifs, floristry and much more. If you want to buy glassware in bulk, the best solution is to establish a stable relationship with the manufacturer. Cooperation with us will allow you to save on purchases, while receiving orders always on time and in perfect condition.